The Beiger Mansion is home to a luxurious bed and breakfast. There are six non-smoking bedrooms, each featuring queen or king size beds, a flat screen television, wireless internet, air conditioning, and a private bathroom. All bedrooms are on the second floor. 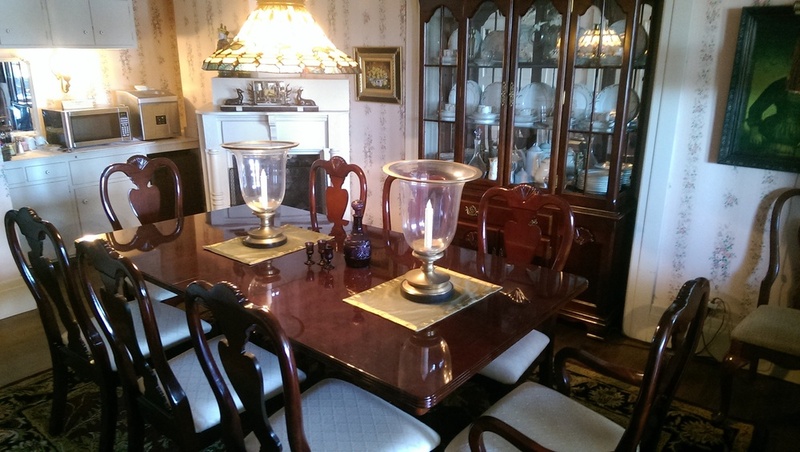 A complimentary home cooked breakfast is served each morning in the State Dining Room. We also have a private guest dining room, two sitting areas, and a solarium available to the guests on the second floor. In addition The Mansion houses a complete workout facility which includes over 1200 pounds of free weights, hip and leg sleds, a tread mill, and much more. From April through October you can enjoy the tranquility of our outdoor, heated pool and hot tub which are tucked into the backdrop of our gardens. Click Here for a full list of our amenities. Rooms 1 and 3 are single queen bedrooms and $150 per night. 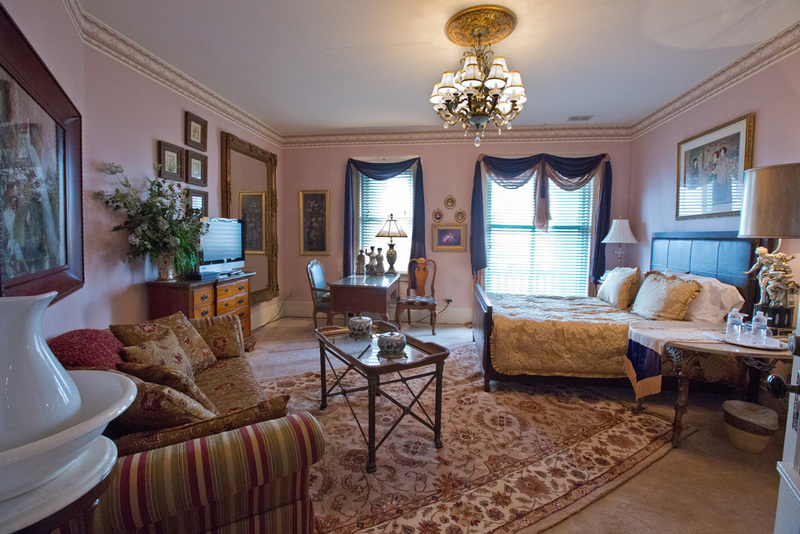 Rooms 2 and 4 are single queen bedrooms and $140 per night. The Master Suite is 225.00 per night. This suite boasts a total of just under 600 square feet or room, a working wood burning fireplace, a porcelain tub for two plus a separate shower, a king size bed, and a flat screen television. 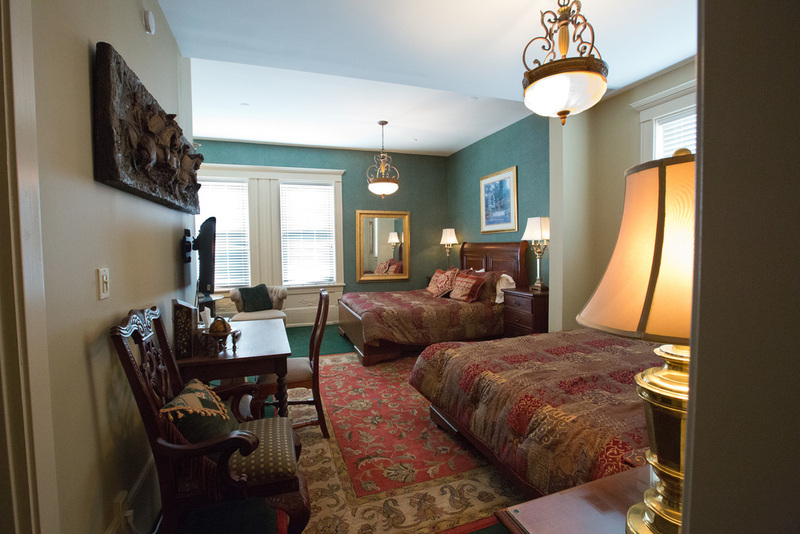 We also have a double queen bed room available for $195 per night. All rooms require a deposit or a credit/debit card. A $25.00 cancellation fee will be processed for any reservation not canceled before seven days prior to arrival. Any reservation canceled within three days before arrival will be charged for one day rate. Notre Dame home football game and graduation weekends require a two night stay with a one night non-refundable deposit at time of booking. A two night charge will be assessed if not cancelled two weeks prior to arrival date. Football weekend room rates are $250.00 per night for rooms 1 - 4 and $350.00 per night for The Master Suite, or the double bed room. Check in is from 3pm to 8pm. If arriving outside of these times please make arrangements with us prior to arrival. Check out is before 11am. Please see our Policies Page for the policies of the Inn. 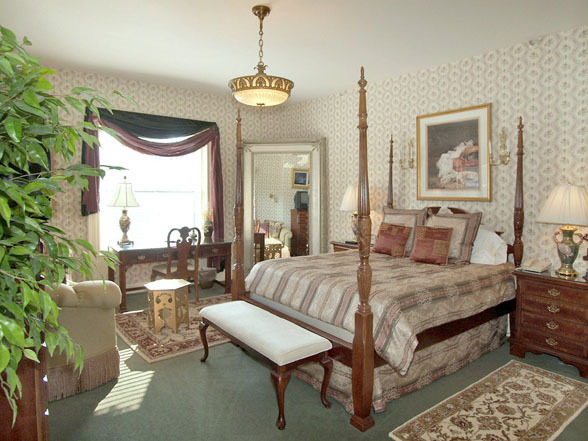 If you would like to book a room, just give us a call at 574-255-6300.